Happy Sunday! 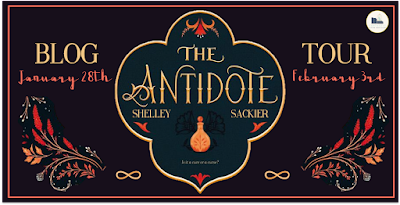 Welcome to the blog tour for The Antidote by Shelley Sackier. 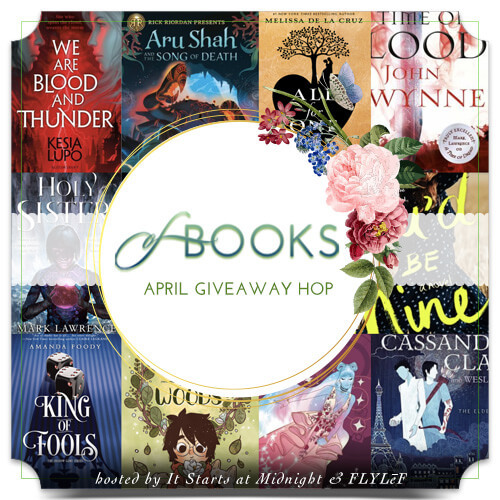 I'm so excited to interview the author and share more about the book! Alyssa: Hi Shelley! Let me start by saying that I am very excited about your book. Tell me how this book's idea came to be! Shelley: It’s a true pleasure to be here, Alyssa! And book idea-wise? Well, for as long as I can recall, I have been surrounded by witches. Not the wand casting, I’ll turn you into a toad type, rather hedge witches, soothsayers, astrologers, and herbalists. Whether family members or friends, there has always been a well-knit thread of strong women that tethered me to a past filled with their magical aptitudes, each of them working to convince me that I was like them: capable, potent, touched, but perhaps my own artful proficiency was still invisible to myself. I was drawn to their sorcerous personalities, curious about what they did—labeling the color of my aura, creating a star chart to portend the future, or prescribing a panacea of herbs and foods to heal, stimulate, or strengthen. But learning their ways was paradoxically forbidden by my mother. She rarely wished to speak about the strange practices of the women we steeped within, yet she went to them for aid. I was forced to find magic myself. Or it found me. And as a writer, when ideas find you, they insist they become a story. Alyssa: Were there specific reasons why you chose the character names that you did? Shelley: I am a total nut when it comes to names. In every single book I’ve ever written, it is probably one detail I dive into so deeply that I can find myself in a fathomless rabbit hole—and thoroughly enjoying every minute of it. Names are hugely important—their sounds, the meanings, their pronunciations (or worse, mispronunciations! ), and most relevant, their power. They are a recipe for influence and for impressions, and oftentimes permission. By knowing someone’s name, you have accrued something vital about that individual. It is a weighty thing which also hold momentum. Within my stories, a name is as crucial as a painter having a full palette of pigments and a plethora of brushes. The names tell a story within my stories. Alyssa: Which character did you not expect to fall in love with but ended up really loving? Shelley: Spending the day with Kizzy would be one of the most memorable days ever. She’s a young witch of the realm, but a minor character. That girl stole my heart, as she is the kind of eclectic people I am magnetized toward and encourage all kids to be like. There is not one spot of “regular” on her, and that makes her so so interesting. Doesn’t care about conforming, but she’s filled with wonder and curiosity that simply spills right out of her unchecked. 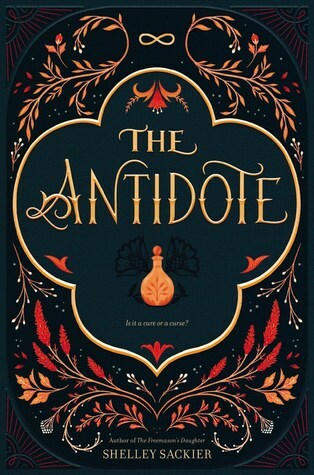 Alyssa: What was something challenging about writing The Antidote? 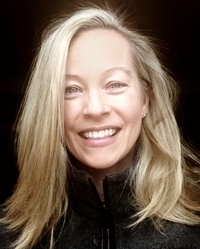 Shelley: The hardest part about writing any book is always muscle aches and loss of sleep. When right in the thick of a story, when the faucet head is fully opened and the narration just doesn’t seem to slow, you find yourself hunched over your keyboard, muscles seizing from inactivity—or just the activity of the tapity tap tapping—and when too physically exhausted to stay at your desk any longer, you finally give up the ghost and fall to bed. Except your brain says, Nuh uh. There’s way too much goin on up here. We’re going to keep churning. And The Antidote provided this difficulty with the speed and weight of a freight train, as normally I can take years to write a book, but this one was quick—as in like the amount of time it takes to make a sandwich. Alyssa: What’s your favorite line or scene from this book? With as little spoiler-y content as possible, of course! Shelley: The battle scene! As many a great story is want to have one of those. And as a writer, whose primary focus is choosing the most precise and perfect words to direct the narrative arc and allow the story to blossom in its unfolding, this scene was all about action. It begged the necessity to create sentences that would drive the story forward with anxiety and passion, with dread and with turmoil. Words that hold fervor, that create a sense of frenzied need in the reader. I cannot tell you how much fun it was to try to manipulate (in a good way, of course!) a reader’s emotions to reach a peak of rousing engagement and then slide them back to a place of satiated comfort. One usually only gets one good solid battle scene, and therefore, you’ve got to give it your all. Alyssa: Do you have plans for writing more books in this world? Direct sequel, or maybe a companion novel? Shelley: I’d give my left lung to write either, as the world of The Antidote is just spinning with tales that are bouncing around within the walls of my head. And they just won’t be quiet. I’m starting to jot down all the bits and pieces, as otherwise, I get no peace, no sleep, and can’t even string a sentence together after an extended period of time with all his happening. Best to just let all those characters have their way and speak their minds. And then … you are ready, should you be asked to the task! Shelley: It’s been an absolute pleasure, Alyssa. I hope your readers note just how rich and dense your website is—there’s so much to feast on here! Cheers! 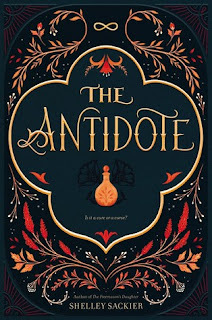 What do you think about THE ANTIDOTE? What's your favourite thing about "magical worlds"? The book definitely sounds interesting. My favorite thing about magical worlds is the magic or course. It creates so many new possibilities that we can't experience. Yay :D I loved this interview post. <3 I'm unsure if I wish to read this book or not, haha. 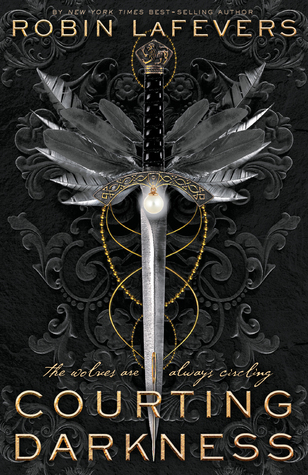 But it do look pretty great :) I like the cover.